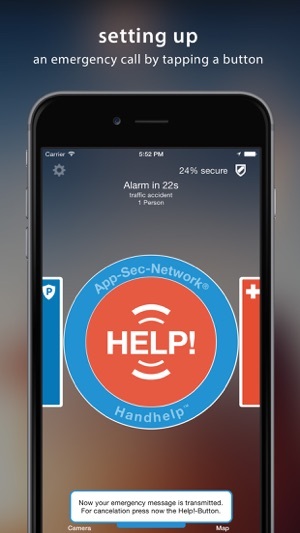 HandHelp™ - the first barrier-free emergency call app for all cases of emergency to transmitting direct alarm of course to persons of your trust - because in an emergency every second counts! HandHelp can be installed and tested free of charge! 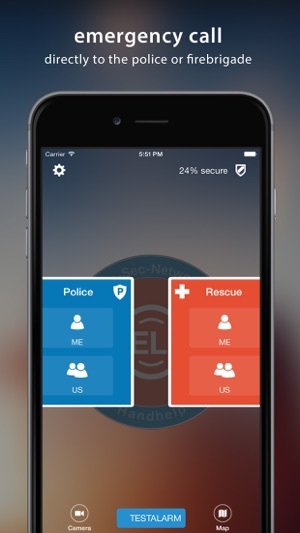 Integration of a configured mobile emergency call button. Emergency call now via portable Bluetooth button possible. Living together, without fear - be never alone en route! • For any case of accident, medical emergency, fire, harassment, etc. 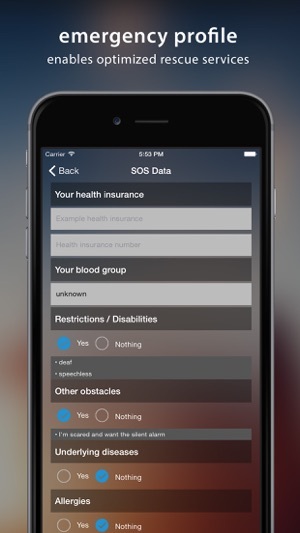 To make sure you get optimized help considering your individually needs, please include all required information in menu "SOS data" and "Helper". Completing all informations takes maximum 5 minutes of your time. By the way: the smart barometer shows reliably your achieved security level to you. 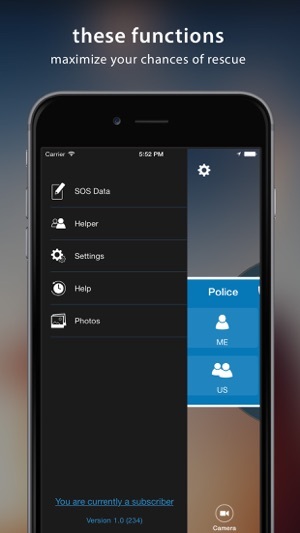 Set up step by step quick and easy - the emergency call SOS app HandHelp. 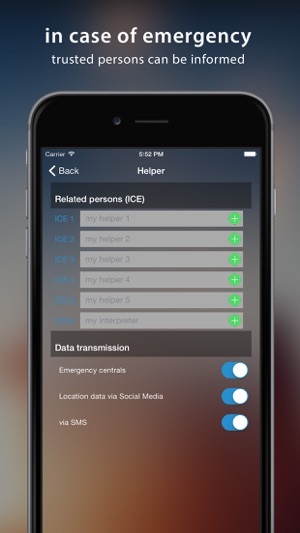 Choose the full versions of HandHelp to alert your helper network in case of emergency. Costs are incurred only after the free trial period of 7 days. *Currently available for the countries: DE, AT, CH, LI. I got this app for my wife who had a stroke recently. It is very difficult to set up, and the "Help" video on YouTube is all in German with English subtitles that scroll off the page so that they cannot be read in their entirety. Trying to unsubscribe to this thing is maddening! I finally had to do a Google search to learn how to do it in the iTunes app on my laptop. Unless you can read German I would not recommend this app for you.